First Lines Part III: What Can They Do? After giving close reading to a dozen first sentences, half mine and half others, I’m ready to make a list of things that a first line can do (although probably no first line should try to do all of them). Include a mystery the reader wants to solve by reading the next sentence. Set a fast reading pace. 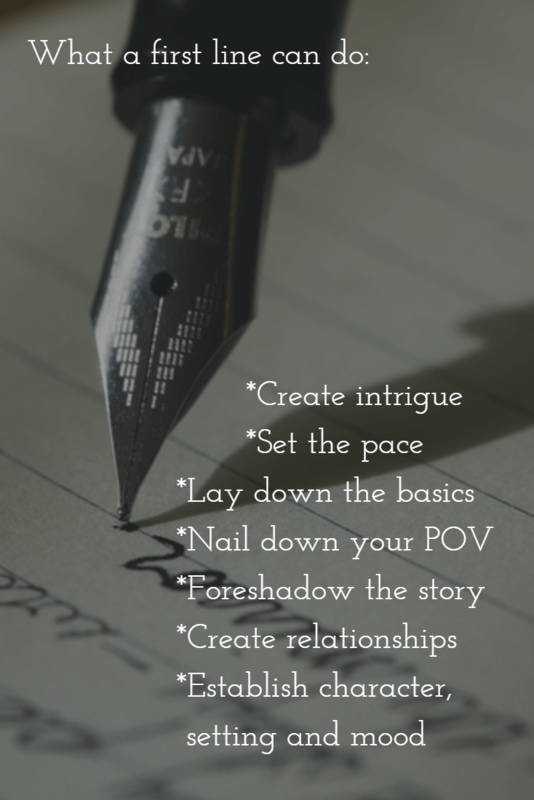 Establish the basics the reader needs to move on with the story. Create relationships between reader, character and narrator. Quickly encourage readers who are interested, and discourage those who would rather read something else. Most importantly, the use of A) diction, B) grammar, C) imagery and D) punctuation in order to establish X) character, Y) setting, and Z) mood. What else do you think they do? Not to mention NOT revealing the ending.